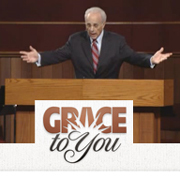 Earlier this year John MacArthur finished preaching through the Gospel of Mark, which marked his completion of preaching through the New Testament in his almost 50 years of preaching ministry at one church, Grace Community Church in Sun Valley, California. One thing I greatly treasure in preaching is a time-tested, faithful preacher who has not only many decades of immersion in the Scripture, but decades of experience in the ministry dealing with unbelievers, attackers, the young, immature, deceived and mature. One man who has this in abundance is John MacArthur, and his pastoral and theological maturity is apparent in his preaching. In this light I highly recommend MacArthur’s 85 messages looking at the life of Jesus Christ from the Gospel of Mark.